Seminal indie rockers Guided By Voices have just premiered a music video for "Planet Score," a cut from their upcoming Motivational Jumpsuit. 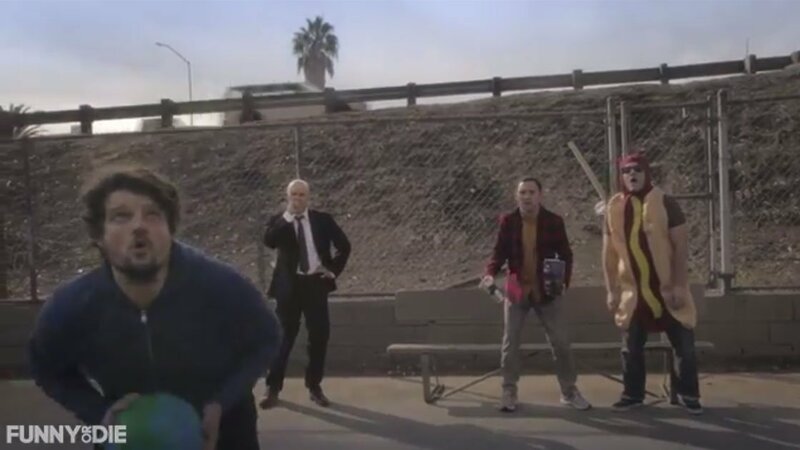 Rather than star in the video themselves, the prolific band enlisted the help of some awesome comedians to make a video with a super-literal interpretation of the song's title. The clip, directed by Mike Postalakis, stars Breaking Bad's Matt Jones (aka Badger), Rob Corddry, his brother Nate Corddry, and comedian Will Maier. Badger stars as a lone, chain-smoking basketball player being heckled by a man and his hot dog. Fortunately, Rob Corddry steps in and coaches him to whatever victory can be had playing basketball against yourself. Check it out above. Motivational Jumpsuit will be out February 18th on Fire Records.